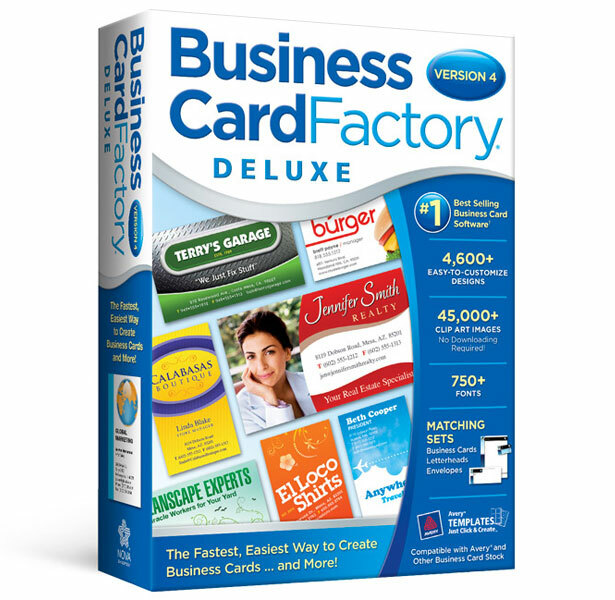 Business Card Factory Deluxe 4 lets you easily create professional business cards in minutes-guaranteed! 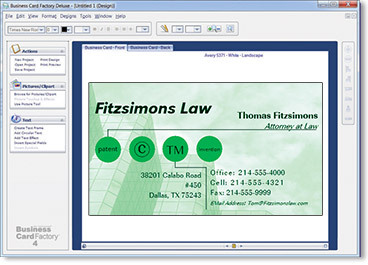 Choose from more than 4,600 customizable templates for virtually every type of business. 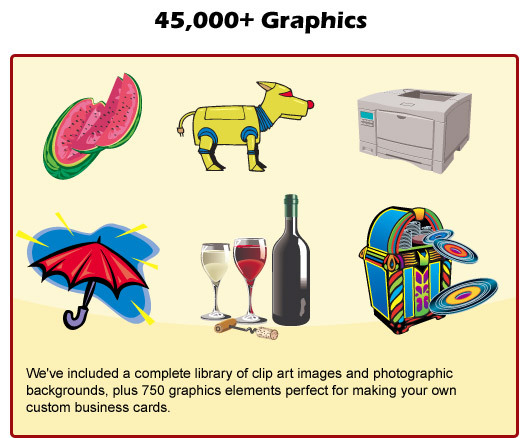 Or create your own designs from more than 45,000+ clip art images, including 750 logo elements. 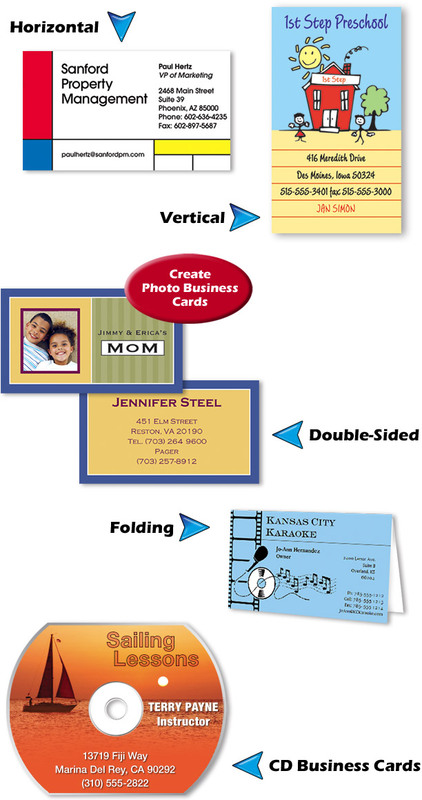 Then, print your cards on micro-perforated card stock from Avery, PaperDirect and other manufacturers guaranteed to be 100% compatible. 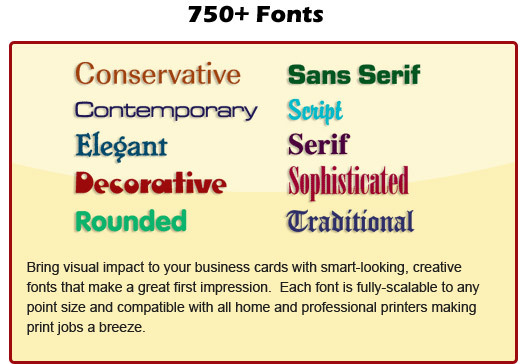 Choose from 4,600+ professionally-designed templates for business cards, letterheads and envelopes. Or create your own! 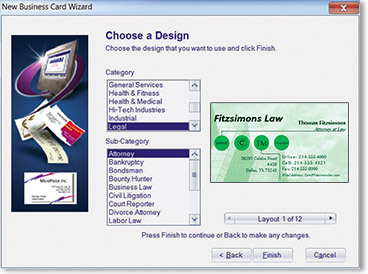 Your name, address and other details are automatically added to your chosen design. Easily customize text and add your company logo. 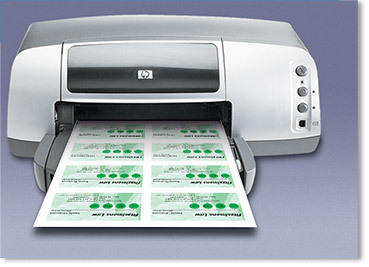 Print your business cards on any inkjet or laser printer with professional-quality results. 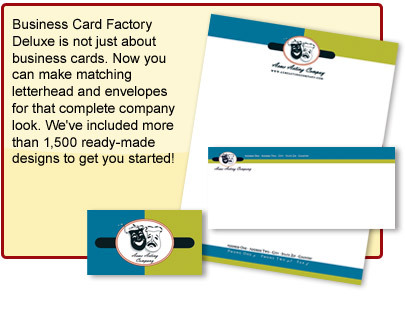 No matter your profession, no matter your product or service, Business Card Factory Deluxe has a ready-made design that’s sure to make your business stand out! 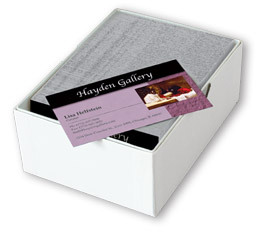 Compatible with Avery® Clean Edge and PaperDirect micro-perforated business card stock... and more! *Professional printing service provided at additional charge.